Bart to many are a kid that has poor up bringing. 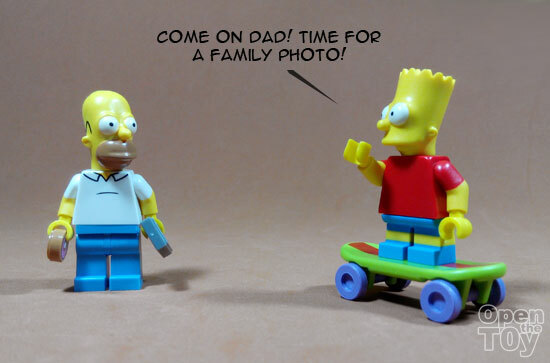 Many would blame on his father Homer Simpsons which in the beginning of the season you can see how much he did not respect his father in his action. That cannot be help as Homer are many would called it a poor role model. Nonetheless, that should not give Bart excuses to be the reason of his actions. 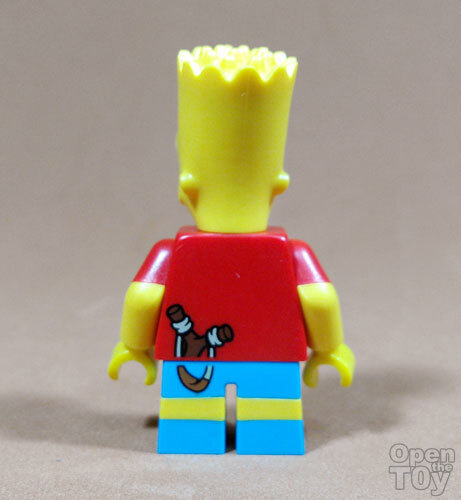 Bart naturally have spiky hair and LEGO had given him that iconic look. They even give him slingshot at the back him. 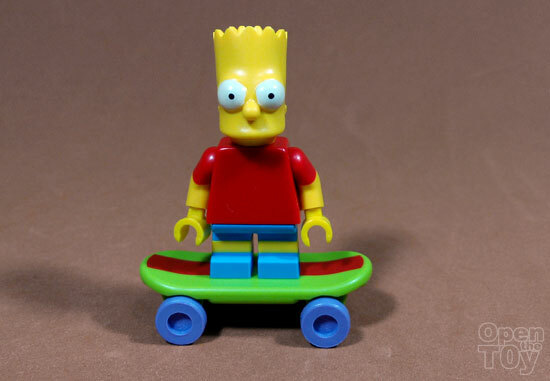 This slingshot had put Bart in many trouble situations. 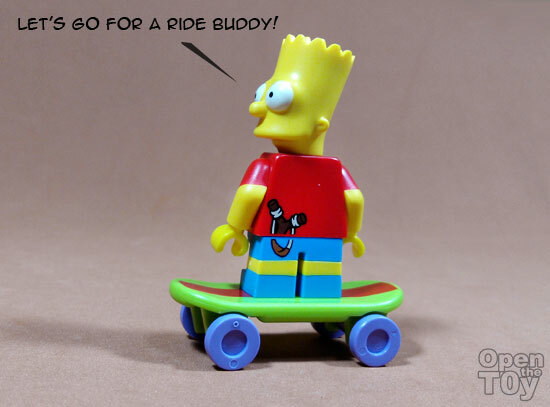 It make sense to give Bart his skateboard which he love traveling around with. But to some degree the Skateboard look too big when he is holding it. 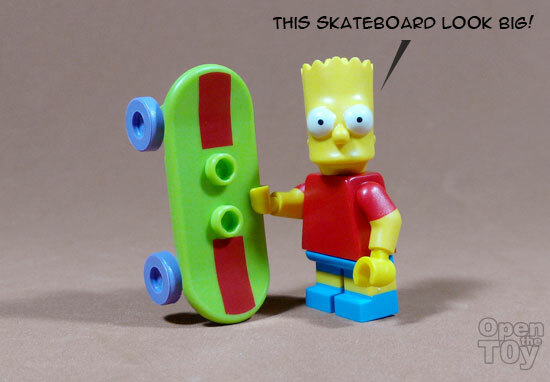 Kid being kid, Bart is more to be a mischievous kid and he is not as bad as being a Bully in schools. But you do get a sense that he is not those study type.He is more like a outdoor person rather than being a video gamer. Regardless of his acts, he can be a game changer in many of the episode even in the movie. I do feel sometime because of his actions, many pass judgement to him to quickly as he want to prove what people say to be right by rebel more and act more against them. That resulted many remedial session to write words on the blackboard in every episodes. 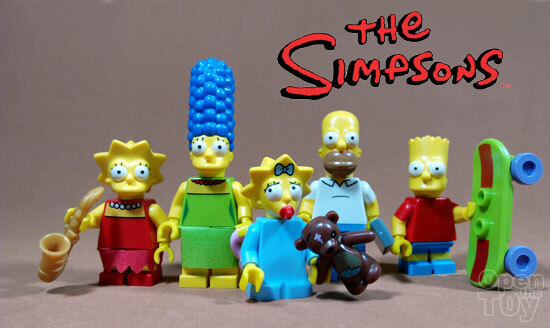 Well that is all The Simpsons LEGO that I managed to get them as a whole family (except the grandfather). I have to say this is a very good looking set and the accessories given is good enough for collectors. 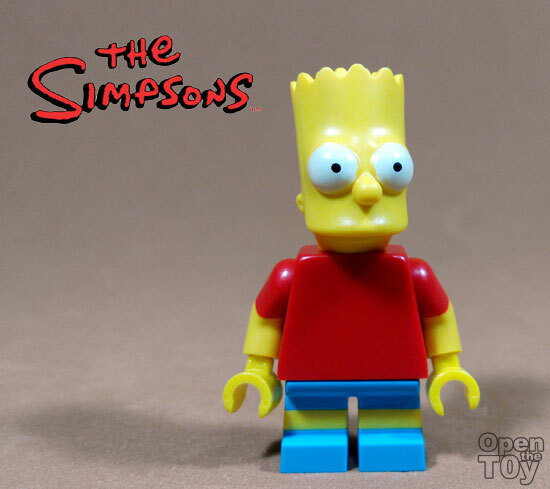 Personally I find some of the facial expression is better than the LEGO The Simpsons house where most of the eyes are half opened. But some people may like those expression. What do you think of this set? 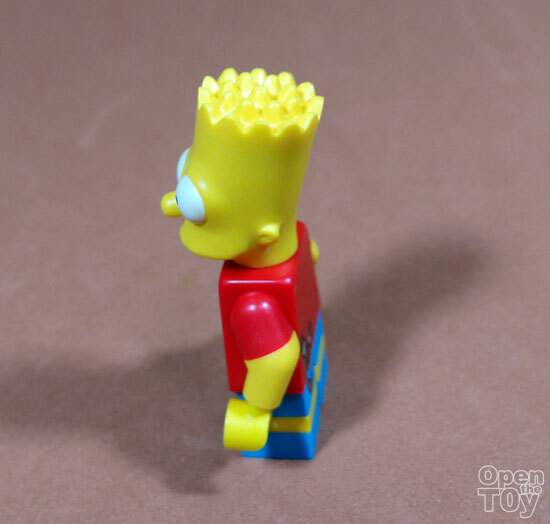 Is it better than the LEGO house of Simpsons?